Transfering money from an ATM in Japan is a pain in the arse, especially if you can’t read Kanji. 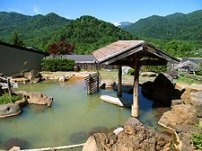 This is a step by step guide for you non kanji readers. 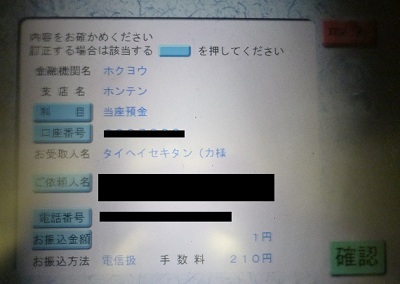 The following procedure is for people who want to transfer money(pay a gas bill, in this case) from a Hokuyo Bank account. To make things a little more convenient you could make a furikomi card at the bank which will include all the recipients bank details for the transfer and will save you from entering the information every time you need to pay a bill. However, the card can only be used during banking hours (9am – 3pm Monday to Friday). In my case I work 8am – 5pm Monday to Friday. I have a furikomi card but because of my work hours I can never use it…….stupid banks! ATMs are fairly similar across Japan but the position and colour of the menu buttons may differ. There could also be a few extra buttons or options depending upon your bank, but the procedure should be roughly the same from whatever bank you are paying from. Make sure to take the bill with you. This will have all the information necessary for transfering money. If you are transferring money after 6pm the funds won’t reach the recipients account until 9am the following business day. The screen below basically says that. Press the green button at the bottom right to continue. 2. Insert your card. Enter your PIN and then press the green button at the bottom right to continue. 3. The next screen tells you to enter the amount you want to transfer/pay. 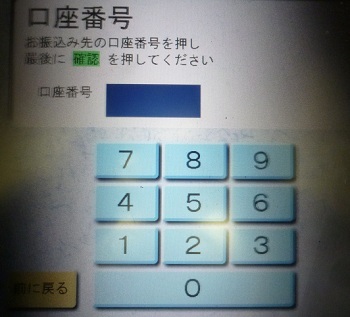 Type in the amount then press the green yen (円) button. 4. The next screen will ask you for what type of card you are using. The top button says IC card. 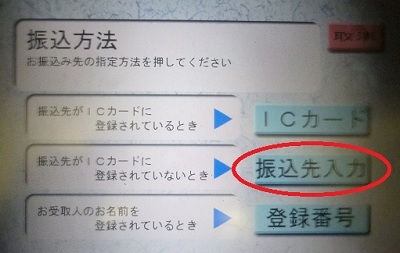 If you have registered an IC card (I don’t know how to do this) with the bank then choose this button. 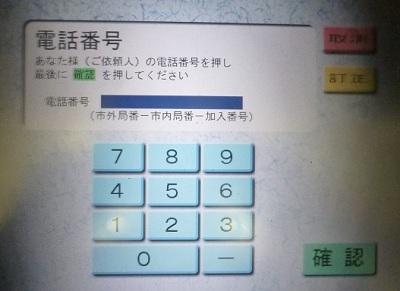 The middle button says furikomis saki nyuuryoku (input details before transferring). 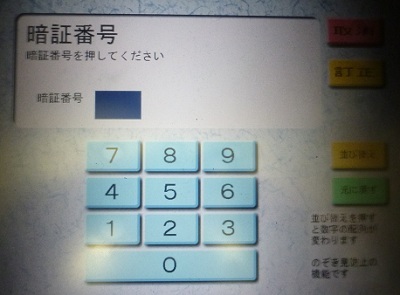 If you have not registered an IC card (like me) then press the middle button. The bottom button says Touroku Bango (registration button). Press this button if you have registered with the recipients account. 6. On the next screen select the branch name. This will be at the bottom of your bill in kanji. Look for the Hokuyo kanji 北洋and the next kanji will be the branch name (on my bill it says Honten (本店). 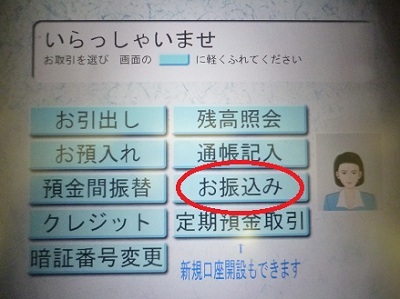 You have to select the katakana for the beginnng of the branch name. 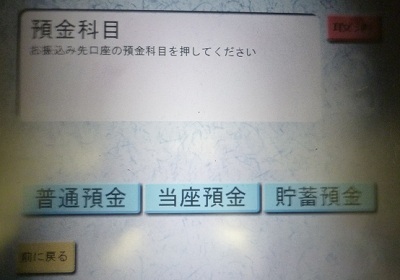 In this case I would press katakana ホ(Ho) for Honten. 7. 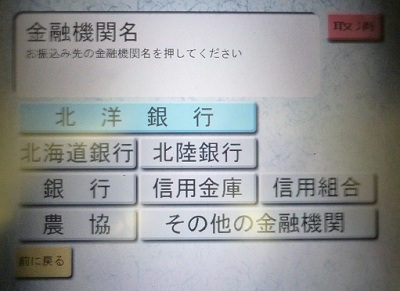 The next screen will give you names for all the different Hokuyo branch names beginning in 'Ho'. Look for your branch name on your bill and press the button. 8. Next, select the type of account that you want to pay into. Companies have different accounts for different circumstances. 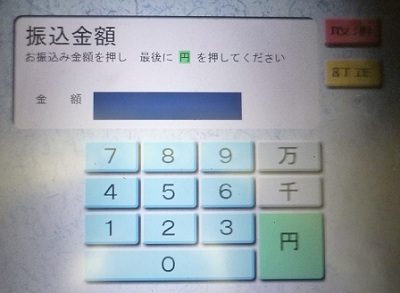 The first button says futsu yokin (regular account) The middle button says 当座預金/Touza yokin (current account) and the last button says 貯蓄預金/chochiku yoking (savings account). Companies usually use current accounts to accept bill payments from customers transfering money. 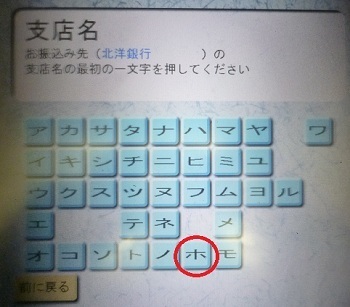 Look on your bill and you should be able to find the 当 kanji for Touza. Press the middle button. 10. Enter your phone number and press the green button. 11. The final screen is the confirmation screen with my personal details blanked out. Press the green button if everything is kosher. You will be given a receipt. It is a bit of a long winded way for transfering money but after a few times you will remember the procedure and it will be easy. One down side is that you will be charged 210 yen for bank transfers outside of banking hours. A more convenient way and to avoid the bank charges would be to just set up a direct debit. To do this call up the gas company or recipient company and say “ginko kara hikiotoshi ni shitai no desuga” (I would like to set up a direct debit). They will send you the necessary documents to fill in and send back to them. They will all be in Kanji, so you might need a Japanese friend to help you out.